“Accept Jesus?” Does That Sound Right to YOU? The most damnable plague of the charismatic movement is that countless millions, perhaps billions of seekers have responded at the altars of a “believe, confess and receive” gospel. Easy believism has it roots in the mis-interpretation of Romans 10, verses:8-10“If you confess the Lord Jesus with your mouth and believe in your heart that God has raised Him from the dead, you shall be saved.”The confession is a result of salvation and not the cause of it. Furthermore, what if for a physical reason, a person literally cannot speak?. Does this mean that he or she cannot be saved? The verse is really suggesting that unless a person is truly saved, he cannot believe in his heart that Jesus was raised from the dead. The belief or the faith brings about the confession and not the other way around. Beginning with the old line Pentecostal denominations, multitudes have come to the altar seeking the Holy Ghost and the speaking in tongues without having repented for sin and they too are in a mess today. Not to suggest that there are not countless people in the traditional denominations who are not saved as well. Since the unsaved in denominational churches are not open to the invisible world of the spirit, they generally do not have the added problem of becoming practitioners of charismatic witchcraft. Those who sincerely however prematurely seek the Holy Spirit without having experienced repentance are the ones who are the most vulnerable to the deception and subsequent infestation of the religious demon. Not all, but several Charismatic churchgoers are now being tormented by demons, even though they have been sincere believers in Jesus Christ. How can this be? The hidden root of the problem is that they have unknowingly been worshiping the Fake Jesus, the imposter occultist god, Jesus Sananda Emmanuel. Moreover, they never got saved because they merely repeated a sinner’s prayer or responded to an invitation to Christian discipleship without being drawn by he Holy Ghost to repent. Consequently, the primary danger of charismatic witchcraft is that it produces counterfeit spiritual births that mimic the true born again experience. Too many charismatic idolaters did not approach the Lord with a contrite heart. Nor did they come “poor in spirit.” Oh, they repeated a sinner’s prayer, yet without “feeling what a sinner must feel” to be saved. A sinner must feel the godly sorrow of repentance. A sinner should FEEL that he is standing on the edge, about to slip off into hell, but that he has grabbed a lifeline, and that lifeline is Jesus Christ of Nazareth. No one can be saved unless the preaching they responded to emphasized the wretchedness of the lost soul that can do nothing for itself except receive what the Lord has already done. Interestingly enough, no where in the word of God is it written that “we accept Christ into our hearts.” Paul wrote to the Romans that we “believe in our hearts that Christ was raised from the dead.” However, Paul did not write that we must “accept Jesus into our hearts.” When we are born again, Jesus does not “enter our hearts.” How can He enter our hearts when He is at the right hand of the Father??? This is why the Lord told His disciples that it was better for them that He went away so that the Holy Ghost would come. The Holy Ghost is that part of the godhead who enters our spirits, causing us to become “temples of God.” The heart and the spirit are two distinctively different entities in man. Similarly, like the words “rapture” and “purgatory”,the phrase “accept Jesus”is yet another religious euphemism, not backed up by scripture. 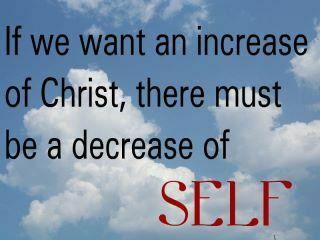 When you “accepted” Jesus, you may not realize it but you lifted up self. Why? Because your boasting is made easy, every time you declare to others, “I ACCEPTED JESUS!” It is important to state here that nothing stops God, not even the church. When the Lord is ready for the elect, He calls them. If they are sitting on a church pew, He can still reach them, regardless of what they have been listening to. The problem is that many of the elect who are in church believe that they are already saved but they are not. The Father plans to save them. Nevertheless, for the Holy Ghost to draw them to a genuine salvation experience, the strong man must be bound with the light of truth. In this instance, the “strong man” is the religious demon, aka,the Fake Jesus. Why? Because you “accepted Jesus,” the fake Jesus answered you and accepted YOUR INVITATION to come into your heart chakra!